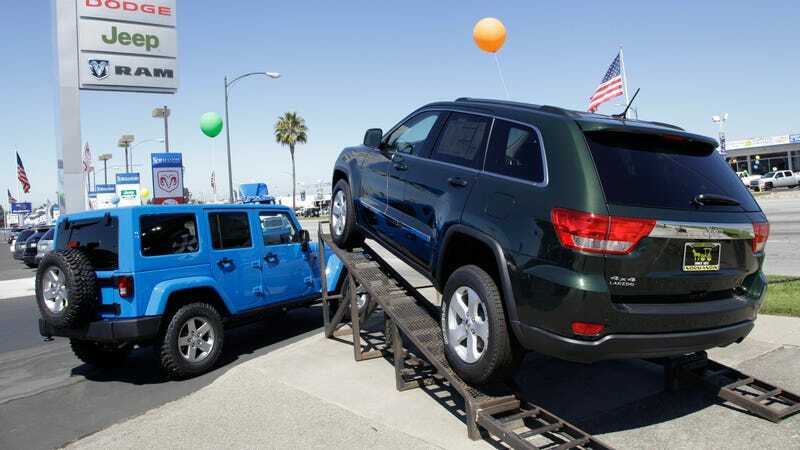 Automakers have come up with some creative incentives and rebates in order to make the sale price a bit more palatable. One of the more, uh, interesting ones is a rebate offered by a Fiat Chrysler dealer for having a low credit score. I can’t say I’m surprised. April 2017 Pricing on all new vehicles may include up to $1500 in finance rebates that have certain credit requirements to be able to claim this rebate. The finance office is Credit Score based and you must be below 620 to qualify. If you are over a 620 you must add up to $1500 to the price. Varies by make and model. Not all units are eligible for this rebate. Call Dealer for Details. For those of you who are not familiar with the FICO scoring system, there are several tiers of credit scores. Often these categories are not fixed, and it depends on the reporting agency, but scores above 700 would typically be Tier 1 and qualify for the best rates, scores from 660 to 700 would be in Tier 2, and 659 to 620 would be a Tier 3. Anyone with Tier 3 credit is usually considered a “subprime” borrower. If you are in this category you will likely pay a significantly higher interest rate than borrowers who qualify for Tier 1 or Tier 2 rates. On the one hand, there are many financially responsible people who for whatever reason get into a situation where their credit score takes a dive. Perhaps they got hit with expensive medical bills, or got laid off and fell behind on some payments. It can take a long time and a lot of effort to get credit score to climb, but it doesn’t take much for your score to take a dive. Keeping that in mind, to offer people additional savings to offset the pain of a higher interest rate isn’t so bad. The rebate that I found, though, wasn’t on some affordable compact, it was on a $55,000 pickup. While everyone’s financial situation is different, if your FICO score is under 620, dropping over $50,000 on a brand new truck is not the smartest move.